With uncanny accuracy Amalie Fremont knows the exact moment her identical twin is swept away by an avalanche in the Canadian Rockies. What she doesn’t know is what her timid, unathletic sister was doing up in the mountains in the first place. For everyone’s sake, Amalie is determined to find out. Grant Thorlow, manager of the Avalanche Control Section at Rogers Pass, British Columbia, can help her. But he wishes Amalie had stayed put in Toronto. Her sister, it seems, caused nothing but trouble in the two months she lived at the Pass. The last thing he wants is Amalie here in town, kicking up a fuss. Especially once it becomes clear to both of them that he can give her more than just answers about her sister–and she wants more than that, too. Can you imagine being caught in an avalanche? It must be one of the most terrifying of all possible experiences. After seeing the video, Snow Wars, at the Information Centre at Rogers Pass, British Columbia, I knew I wanted to write a story about this. Subsequent research confirmed one thing: there is no more worthy hero for a romance novel than a man who works for Avalanche Control. To handle the demands of their job these men have to be strong with nerves of steel--and in great physical condition. Do you have any idea how many minutes someone can survive once they've been buried by an avalanche? You'll find this question, and many more, answered in this story. Also, do you believe that twins share a special connection--a special bond that allows them to know when the other is in trouble? That idea is also explored in this story. 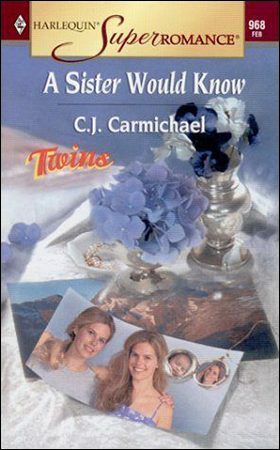 Whether it's real or not, my heroine Amalie Fremont believes she has that connection to her identical twin. When she realized she couldn't move, shock numbed Helena Fremont's mind. Instinct told her to thrash, but she was pinned tight, like a butterfly mounted on styrofoam. Minutes earlier the virgin snow had appeared deceptively harmless. The thick scallops reminded her of whipping cream. Fluffy, clean and so inviting. She'd ignored Ramsey Carter, ahead of her on the ridge, dug in her poles and pointed her ski tips toward the concave mountain basin. Gravity caught her and pulled. Whoosh--she was off! Wind stung against her cheeks as she swooped down the thirty-five degree slope. From behind came an echoing cry. "No, Helen!" She'd laughed with pure exhilaration and tucked her body lower to the ground. Funny how many ways there were to outrun pain. She never would've guessed skiing on the edge of her control was one of them. Then suddenly she realized she wasn't the only thing in motion. So was the snow. It was shifting out from under her, like an escalator on high speed. "What the--?" She lost control of her skis and fought to remain upright using her poles. Glancing down, she couldn't see her feet. Something hit her from behind and she was tumbling, ski poles dangling wildly from the safety straps attached to her wrists. Now the snow was no longer fluffy but hard, concrete stuff that burned her skin and bruised her bones as she was sucked deeper within it. The skis, which had allowed her to skim the crystal surface just minutes before, were anchors dragging her down. Her flailing arms became imprisoned in the mounting piles of snow, ensnared, too, by their attached poles. With a jolt she'd stopped. And only now did her mind register what had happened. She couldn't move because she was buried in snow. That was why it was so dark, too. God, how deep was she? No way to tell, she was so disoriented she couldn't even guess which direction was up. And her leg burned with pain. The intense agony could only mean the bone was broken. A second later, she realized the injury was the least of her worries. Air. How much was down here with her? How soon would it run out? Already it was a struggle to pull in breath without sucking up snow, instead. Oh God, she wasn't ready for this! Especially not now, when she and Ramsey had finally sorted out all the problems. Maybe Ramsey would find her in time, dig her out. But how? It felt like she'd tumbled a quarter mile down the mountain. Straining for sounds of rescue, she was amazed to pick up signs of life above: the shaken cry of a whiskey jack, even tree limbs rubbing in the stiff breeze. But not Ramsey calling out her name. If help came, it would be too late. No. Don't think of that. Just pray for his safety. He, after all, had children who loved him and needed him. While she did not, and it was her own fault. All too aware that these might be her final moments, Helena thought of the son she'd abandoned so many years ago, her baby. Regret pounded through her veins, along with her cooling blood. She'd made so many mistakes in her life. Two times she'd run away from love. This would make the third. Desperate for air, she opened her mouth and took in dry granules of snow, instead. Realizing her mistake, she tried to spit them out, but her face was packed in too tightly. Panic built, then exploded. From low in her chest she let out a scream that no one would hear. The scream went on and on, until her lungs were burning and the ringing drove all other sound from her ears. Inside her head, her scream had a name, and her mind conjured a face identical to the one she saw reflected in the mirror every morning. Her last conscious thought was a plea for help. Amalie! I can't breathe! Help me, Amalie!